Møster! is a quintet of Norwegian rock and experimental musicians led by multi-instrumentalist Kjetil Møster. 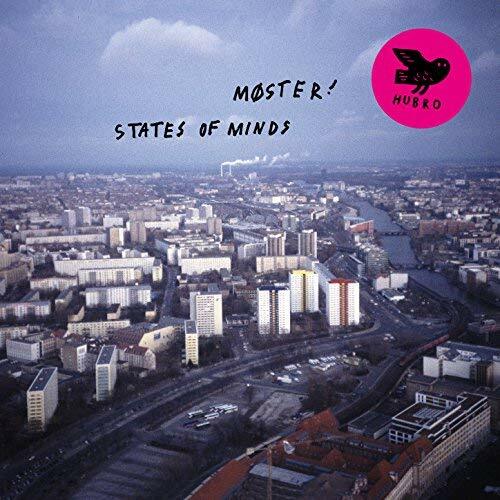 On States of Minds, a two-LP release also formatted for two CDs, Møster plays saxophone, clarinet, electronics, and percussion; the rest of the group includes Hans Magnus Ryan on guitar and electronics; Jørgen Træen on modular synthesizer and lap steel guitar; Nikolai Hængsle on electric bass and electronics; and Kenneth Kapstad on drums. The group’s sound is a creative amalgamation of elements that at first may seem incongruous, but in fact fit together comfortably in a kind of instrumental space rock for the 21st century. The CDs’ focal points are the two long improvisations, which show Møster!’s skill at creating complex textural pieces balancing a broad spectrum of instrumental color. On some of the shorter, more propulsive pieces Møster or Ryan may take the lead, but in general the sound is a collective one. All in all, this is high quality, intelligent improvisational rock.